Everyone needs a place to purge their pucks! 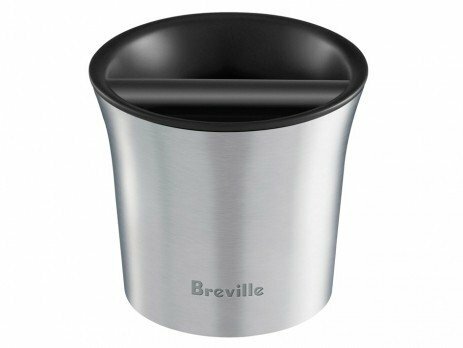 Let Breville handle the dirty work with this spacious knock box. Made from durable die-cast metal on the outside and a hefty removable rubber and plastic interior, this dependable knock box will get the job done all while being easy on the eyes. Generous Size - This roomy knock box boasts a large capacity, sure to handle even the most caffeinated of days. Clean & Simple - Remove the interior rubber and plastic box and place in the dishwasher for an easy clean-up. The metal exterior works well with a good rinse of soap and water. Design - The round design helps it stand out from the standard square knock box shape. Big! 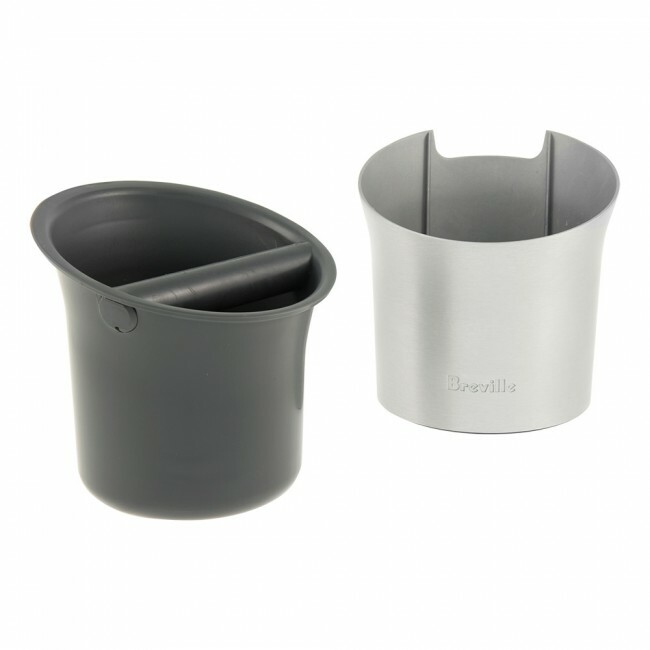 - Bigger is better when you're brewing multiple espresso shots. However, this size may be a little to large for those occasional home espresso drinkers. This knock box is large and in charge! Be sure you have ample space to accommodate this beauty.